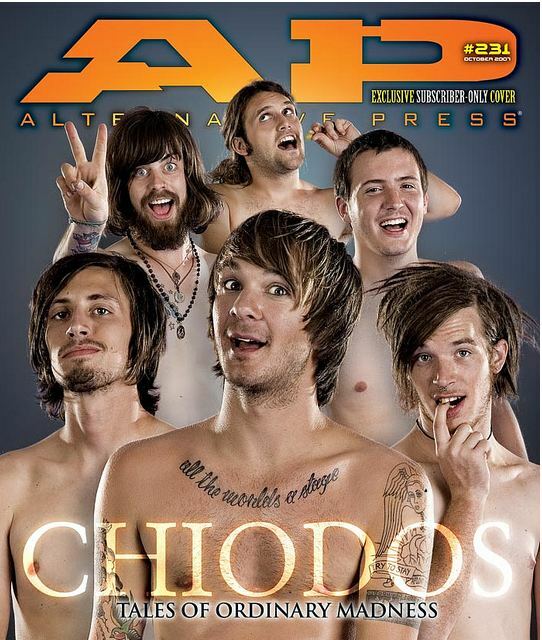 Drummer Derrick Frost has returned to Chiodos. The band's plans going forward are still not public knowledge, but we'll keep you updated as more information becomes available. An announcement video can be seen at the band's website. Frost originally drummed for Chiodos from 2004-2009, performing on two of the band's albums (2005's All's Well That Ends Well and 2007's Bone Palace Ballet). Original frontman Craig Owens rejoined the band late last month. This all happened after Brandon Bolmer (vocals) and Tanner Wayne (drums) exited the group's ranks in late March.